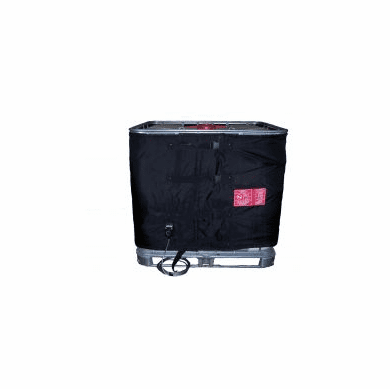 Single zone heater has a heating element housed in the lower two thirds of the unit. 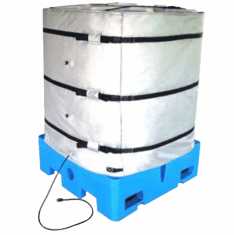 It is designed for winter warming applications up to 104 degrees F.
These high-efficiency IBC blanket heaters will bring your liquids up to temperature without harming your plastic IBC. The Heaters is equipped with four pairs of easy-connect buckles and straps for easy attaching and removal. 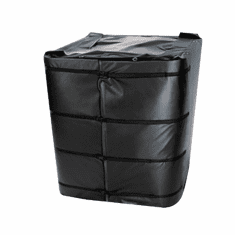 Each heater has a silicone-insulated spiral-wound resistance element housed in a composite nylon/coated glass cloth fabric jacket.